The above Recording Time and Capture Frames information is only for reference purpose. The actual Recording Time and Capture Frames depend on the screen, environment and background. For example: Since full dynamic screens occupy more memory, therefore the relative recording time will shorten. 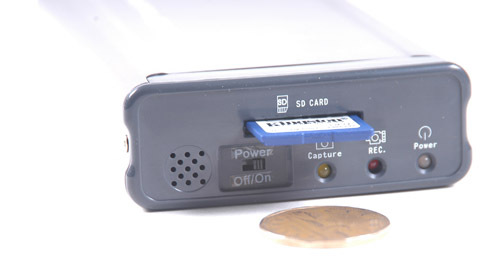 ● Smallest, Lightweight, Portable Digital Audio Video Mini Recorder. 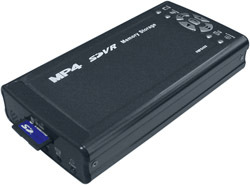 ● Digital Audio Video Recording Compression: MPEG-4 near DVD quality. 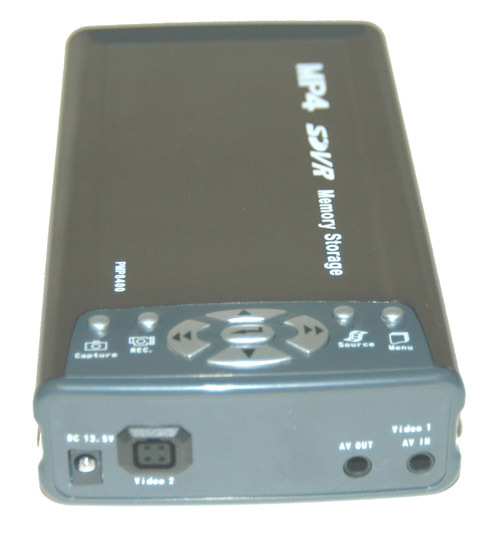 ● Video Playback Resolution up to 640 x 360, (Digital Zoom Enlarged) (30fps/sec. Real Time). ● Picture Resolution: JPEG format (640 x 480). ● Battery Life Time: 2.5hrs ~ 3hrs. (±10%). 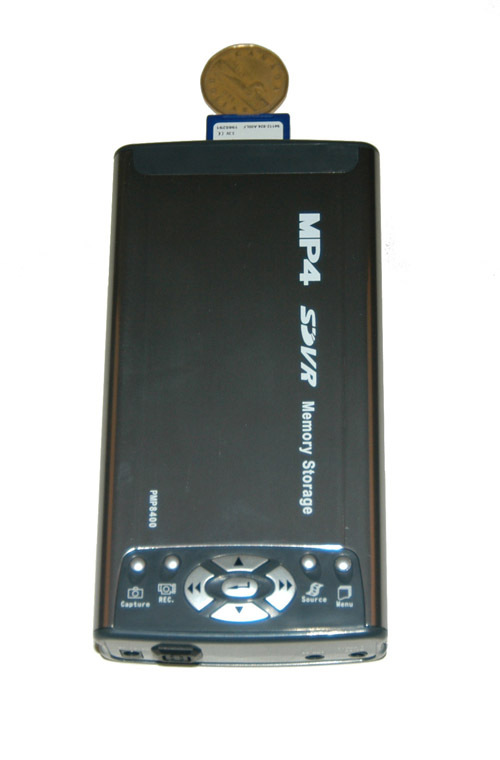 ● Data Storage by SD Card and able to use with any size of capacity. ● Built-in Rechargeable Li-Ion battery. ● Enables to display the information of SD capacity.